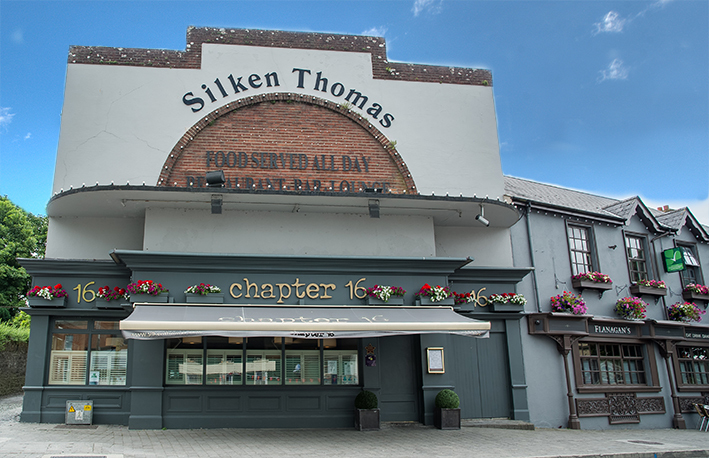 Chapter 16 is a modern contemporary restaurant, overlooking the heritage town of Kildare, at the heart of Irish horse racing. Our chef's source our produce locally which brings their creative specials alive. Meet up before or after and enjoy a few drinks in Traditional Irish Bar Squires-Lils (Live Music), or Flanagan's Lounge - our Award Winning and Failte Ireland Approved establishment will cater for all your needs ensuring a quality experience and service with a smile. Whatever takes your fancy, our staff will be delighted to help. Great service, nice food and friendly staff. Thanks you so much for a beautiful meal on my sons Confirmation day. The staff were so friendly and the chief cooked my sons favourite meal, carbonara, as it wasn't on the menu that day, .We have eaten in your restaurant before and we would definitely eat here again. Great atmosphere, friendly staff , fab food and great value for money loved it . We are always so well taken care of in Chapter 16. Amazing staff, great food, all round good place to spend an evening. Good hearty food and great service. Casual and relaxed dining done well. We have had our work team Christmas dinner in Chapter 16 a few times and the experience has been memorable each time. Food is one of the best ones we had. The service is extraordinarily excellent. We recommend this place 110%! Excellent food. Steaks are delicious and cooked perfectly. Beautiful meal as always with very friendly caring staff. Thank you to all concerned. Never disappointed when I visit m. Food was fabulous and what can I say about the staff. They were brilliant . So atentive and friendly. Good value and great quality food . Service is efficient and freindly as usual but felt a bit rushed on this particular visit. Stairs up to wcs were dirty on this occasion. Some variation in the menu would be welcome.